^ Jean Clottes. 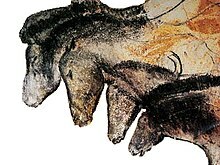 Ancient Grand Masters: Chauvet Cave, France. （原始内容存档于2010-10-03）. ^ 2.0 2.1 鄭孝祺/紀曉萌. 擊潰進化論 三萬年前的動畫讓人目瞪口呆. 大紀元時報. 2014-07-04. ^ 3.0 3.1 艾米. 法国拥有史前壁画的肖维岩洞成功入遗. 法國國際廣播電台RFI. 2014-06-23. ^ 4.0 4.1 艾米. 三万年之久的肖维岩洞壁画. 法國國際廣播電台RFI. 2012-05-11. ^ Andrew Howley. 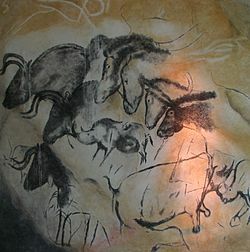 3D Cave Art: The Closest You Can Get to Time Travel. National Geographic Society. 2011-05-07. ^ 羅東平. 組圖：世界最古老史前巖畫暗藏3D動畫. 大紀元時報. 2014-06-25. ^ Smithsonian Magazine, December 2010. Smithsonianmag.com. 2017-06-21 [2018-01-31]. ^ Hobgood-Oster, Laura. A Dog's History of the World. Baylor University Press. 2014: 6–7.